Do you want to plan a holiday that includes whale watching, mountain hiking, beautiful beaches and an abundance of historical sights? 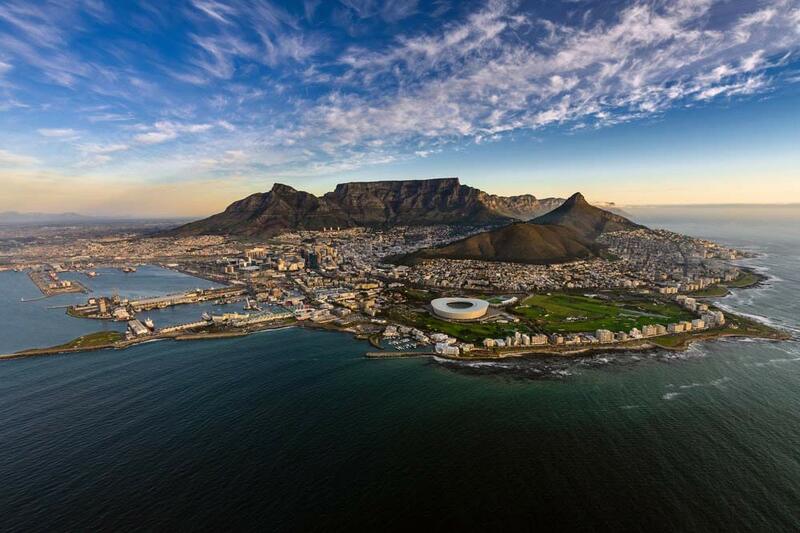 Cape Town, South Africa’s capital city, has it all. Table Mountain attracts over 25 million visitors every year, but if you want to enjoy some natural splendour without the steep incline, you can head to hotspots such as Boulders Beach, Kirstenbosch Botanical Gardens or the Cape Winelands. Alternatively, enjoy an endless array of tasty cuisine and cultural entertainment outlets within the city itself. If you want to inject some well-deserved luxury into your getaway, you ought to consider browsing our high-value business class flights to Cape Town. Simply contact our luxury travel specialists who will do the hard work for you in finding cheap business class flights to Cape Town. Explore South Africa with our cheap business class flights and luxury holidays to Cape Town. We focus on providing you with exceptional service and affordable prices. 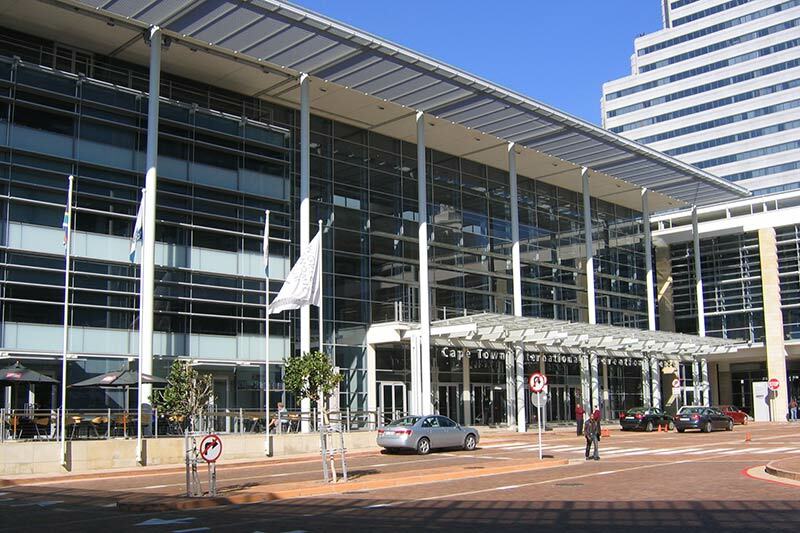 Purchasing cheap business class flights to Cape Town with Just Fly Business has never been easier. You will receive your own personal travel consultant who can arrange your flights, airport transfers, hotels and car hire and ensure everything runs smoothly. Your business flights to Cape Town will be comfortable and affordable; we work with all the major airlines and acknowledge your travel preferences to ensure your business class flights to Cape Town are reasonably priced and relaxing. Alternatively, why not upgrade your experience with first class flights to make the trip extra special! Famed for its flat-topped shape, this prominent landmark overlooks the magnificent city of Cape Town. Holidays to Cape Town would not be complete without seeing Table Mountain, and it can be experienced in two ways: by foot or cable car. The determined travellers may choose to hike along one of Table Mountain’s many trails or take a two hour trek to the top while experiencing the well earnt stunning views. Taking the cable car is a fantastic chance to see every feature of the mountain and the beautiful city and beyond with the 360° rotating cable car floor. With sweeping views of Table Bay Harbour, the Atlantic Ocean, the City of Cape Town and Table Mountain, this charming historical harbour offers shopping, dining, entertainment and an array of leisure activities. The V&A market is a foodies paradise with a range of craft food, craft beer and tasters to nibble on. There are multiple free events all year round from fitness classes to photography exhibitions, as well as outdoor concerts and unique shopping with international and local products. Jutting out of the Atlantic, this jagged and narrow strip of land creates the feeling that you’re at the edge of the world. Dotted with scenic bays, beaches and beautiful valleys, this kingdom of flora and greenery is the perfect haven to stroll around and explore the lighthouse, sit and bask in the sun, travel on the Flying Dutchman train or visit the nature reserve. To dine in style, book a meal at the Two Oceans Restaurant, famous for its freshly caught fish and exceptional view from the wooden decking. Langa is Cape Town’s oldest township, one of the many areas in South Africa that were designated for Black Africans before the apartheid era. Tailor made tours in Cape Town bring the perfect opportunity to visit this township; it is an eye-opening and educational experience that will leave you with a greater knowledge of those less fortunate. During the tour, a local guide will take you around a community centre where there are paintings and sculptures which the locals can view. Handmade pottery and beadwork are available for sale, with all the profits going back into the community. The wooden shacks, shanty huts and bungalows may not be the most appealing sight to see in Cape Town, but definitely the most memorable and most expressive. 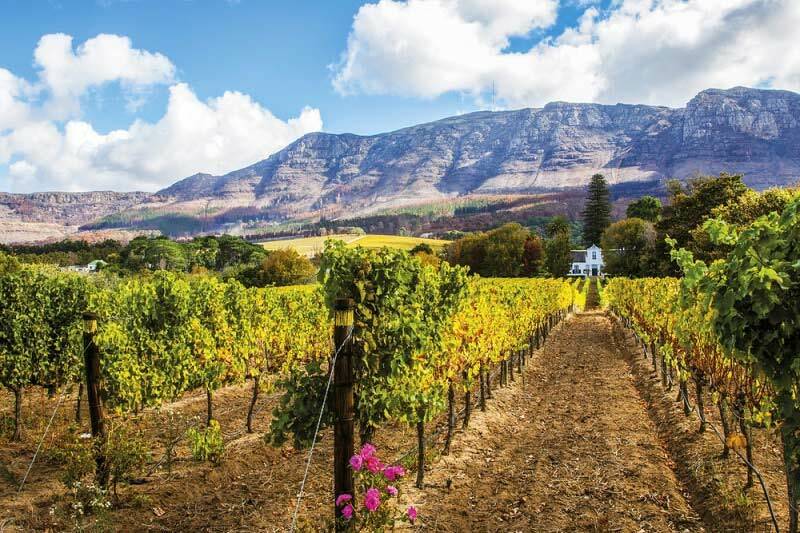 South Africa’s wine industry is flourishing, and Constantia Valley is at the heart of it as the oldest wine-growing area in South Africa, dating back from the late 1600s. For a relaxing day, meander along the valley towards the rustic vineyards and sample the acclaimed local wines. For an adrenaline filled day, try the thrilling zip lining adventure, mountain biking or horse riding. There are independent shops to explore with an increasing number of businesses who have escaped to the serenity of Constantia Valley and out of the city. In the warmer months, picnics, live music and festivals are hosted for locals and tourists. Formerly a biscuit factory, this mill is a cornucopia for all the senses. Tickle your taste buds with the wonderful offerings of a chocolate factory, smoothie stalls, seafood huts, sandwich stops and so much more. Day and night markets offer innovative products from some of South Africa’s most talented designers, artists and photographers. Easily accessible from Cape Town, this scenic stretch across the south-eastern coast of South Africa and is dotted with gorgeous lagoons and lakes. The Garden Route is essentially a huge natural garden, with spectacular views of the mountains, beaches and trees. Along the way are multiple attractions also worth visiting, including scenic nature parks and canyons, as well as activity breaks with bungee jumping and nature tracks. Close to Table Mountain and Cape Town’s incredible beaches, the Belmond Mount Nelson Hotel is situated in a lush garden estate and boasts six individual accommodation wings, each with its own unique character, private gardens and facilities.The Belmond Mount Nelson Hotel caters for every event with everything from a 14 person boardroom to a 400 person ballroom. Combining contemporary architecture with rich historical structures, Taj Cape Town is a successful combination of the luxury of the new and heritage of the old. There are 9 different meeting rooms including a large hall which caters up to 100 guests. Make your meeting memorable at The Westin Cape Town. There are state-of-the-art conference facilities in all 19 meeting rooms and staff on hand to ensure that you have a customised experience that will energise your mind, body and spirit. Belleville, Atlantis and Somerset West are close to Cape Town’s centre, ideal for day trips if staying or working in Cape Town. On a business class flight, you don’t need to struggle to keep your legs comfortable or sleep next to noisy neighbours. You also don’t have to settle for anything less than premium cuisine. Experienced chefs will rustle up your favourite delights as you sip fine champagnes and watch the latest blockbusters on your private, HD television. You can also choose from hundreds of fun games, and when it’s time to rest, you’ll sleep easily on your fully reclining flatbed. Our travel specialists can help you narrow down your options as well as listen to your requirements to find the perfect business class flights to Cape Town for you. Additionally, they can organise airport transfers, luxury hotels, drivers, rental cars and more on your behalf, allowing you to concentrate on making the most of your premium getaway. Your holiday begins from the second you leave your chosen UK airport when you choose business class flights to Cape Town, and you’ll struggle to find better deals than those on offer at Just Fly Business. For recommendations, advice and general queries, don’t hesitate to get in touch. Currency = South African Rand (ZAR). Fly from = Most major UK airports. Hottest months = December, January and February.